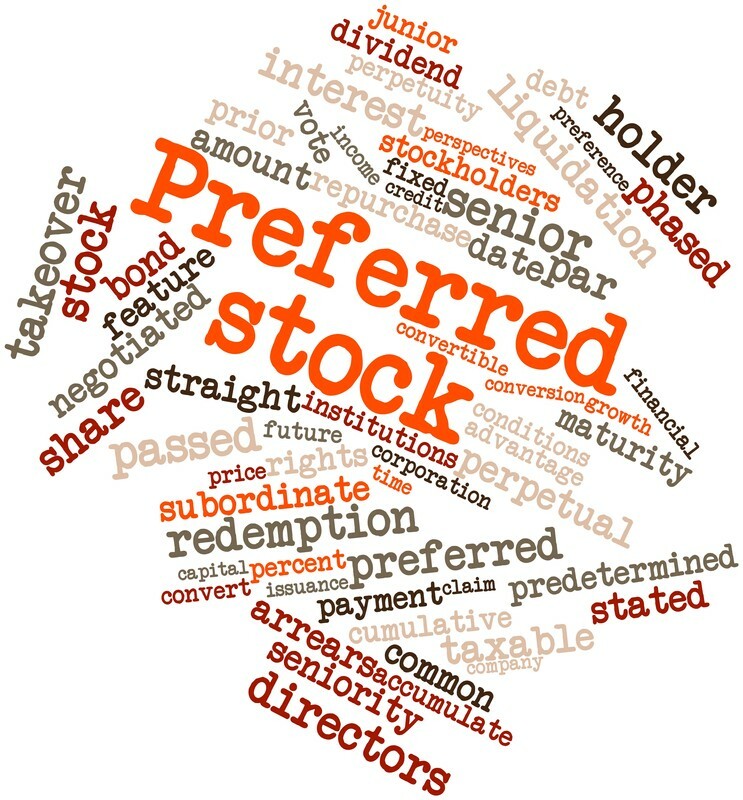 To understand preferred stock, you need to know how a stock works to begin with. Stocks are ways for investors to buy into and share ownership of a publicly held company. These stocks are sold by the initial owners of a company through an Initial Public Offering (IPO) so they can raise additional revenue and increase the size and wealth of the company. Once stockholders buy control of the company, they may resell their shares of ownership on the stock market. The price that a stock sells for on the market is determined, in part, by industry forecasts of a company’s corporate earnings and performance. Traders will speculate as to whether earnings will rise or fall and the demands of the market will adjust the price of the stock accordingly. If they think the company will show a rate of success, then the stock price increases; if the company appears to be on a downward trend, then the price will likely fall. As a stockholder, you can see a return on your investment in two ways. The first is pretty simple, relating to the old adage of “buy low, sell high”. You purchase the stock at $15.00 and sell it at $30.00. You’ve made a profit. If the opposite holds true and you buy in at $15.00 and sell at $7.50, then you lose money. The second manner in which a stockholder can see a profitable return on investment is through dividend payments. These disbursements are typically made on a quarterly schedule and distributed to each stockholder on a per share basis. Payments are made from the company’s earnings each quarter and issued by the board of directors of the company. The number of shares you own affects how many dividend payments you are entitled to receive. This method of return compensates stockholders for investing in the company. It’s a common practice among corporations that aren’t growing as rapidly as expected despite showing some amount of profit or for companies that are relatively stable. The two most popular types of stocks most investors buy into are common and preferred. Each one has distinct benefits of ownership for shareholders who are looking for certain advantages in their return on investment and voting powers. Common stocks are the more widely traded of the two due to the profit potential by way of dividends and stock price appreciation. 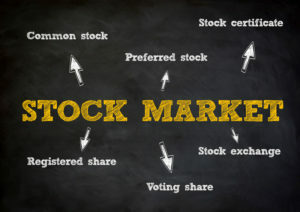 Owning common stock also gives shareholders the power to vote on board of director elections and other business decisions during shareholder meetings. Common stock is basically a way to be more proactive in your ownership of a publicly held corporation. However, anyone holding common stock is placed in the “back of the line” so to speak when it comes time to receive dividends. They have a low priority for receiving a return through dividends and each payment may vary, they are not fixed amounts each time. Therefore, there is an increased modicum of risk to your initial principle. On the flipside, common stocks have a better track record of performance. Preferred stocks mainly offer everything that is opposite of common stock. These shareholders are at the front of the line for receiving payments each quarter and they have a higher priority of reimbursement should the company go under. The dividend payments are also fixed, so you receive the same amount of money each time. However, holding preferred stock may afford you little to no ability for voting in elections or other decision-making processes. Even more important, the issuing company has the ability to “call back” the shares from you at any time. This means they may buy your preferred shares back from you whenever they wish. There are some limitations to that power but it is well within their rights to do. This is what is referred to as a callable preferred stock and it’s one of the many different types of preferred stocks that may be purchased. To better understand the concept of having your stocks called back, one must only consider how the terms are established on a callable preferred stock. These are all typically introduced in the stock prospectus when the stocks are issued by the company. These terms are non-negotiable. Once they are set, they may not be altered in any way at a later date. Among the definitions set forth by the prospectus are the call price which explains how much each share may be repurchased for in the event of a call back, the date at which point shares may be recalled, and the call premium which defines the penalty amount the issuer must pay the holder for calling the stock back. Not every callable preferred stock comes with a call premium, but if it does, the prospectus will explain it in detail. Much like all preferred stocks, they have a higher priority for dividend payments over common stocks. In a callable scenario, the issuer has the advantage in this arrangement as it gives them the power to reissue shares at a lower market dividend rate should they have the opportunity to do so. The same thing is true if interest rates drop. This all means that the company has the capability to decrease its capital costs and claim a savings on the new shares that are given out. For example, if the callable preferred stock you own from Company X has a 6% dividend rate, the issuer has the power and privilege to call back those shares and reissue new preferred stocks that have a 3% dividend rate. The proceeds earned from the issue of these new stocks is applied to calling back the previous 6% shares and Company X has claimed a savings of 3% in the process. It works in the company’s favor as well should dividend rates increase in the market. The company can continue to pay the 6% on those stocks without affording you the ability to sell back your shares at the higher dividend. It’s all an ideal way to safeguard Company X from higher financing costs and market volatility. Though this arrangement may sound like it favors the issuer, stockholders who purchase callable preferred stock have some assurances that make this type of stock attractive to investors. For starters, they provide a consistent return on investment. Having that stability as part of this stock scenario makes investors feel assured that their money is safe. Should the company call back these shares, however, the investor could potentially lose money as they would have to reinvest their capital through shares that come with a lower dividend rate or interest rate. That’s where the call premium comes into play, this sum of money that comes due at the time the company redeems its shares is offered as a form of compensation for taking that risk through reinvesting at the lower rates. One thing to understand most about preferred stock is that, although they are stocks, they perform more similarly to bonds through the way they issue fixed dividends. The amount remains the same for as long as you own those shares, as opposed to common stocks where your dividends may see an increase the longer you own them. Depending on the type of preferred stock you’ve chosen, it may be cumulative in nature. This basically means that if the issuing corporation is unable to pay out dividends for a certain length of time, that money accumulates. Once the company rebounds from its financial difficulties, if it ever does, then any stockholders who are holding cumulative preferred shares will not only expect to see all of the accumulated sum of the missed dividends, but they will also be the ones who get paid first, ahead of common stockholders. Cumulative preferred stocks bring down the risk of dividends for investors because they are typically issued with a lower payment rate than that which comes with non-cumulative preferred stocks. Since these types of preferred stocks lower capital costs for the issuing company, most of them are cumulative in nature. Purchasing a convertible preferred stock means that it is equipped with the ability for shareholders to turn their preferred stocks into a specific number of common stocks instead. This option typically has a conversion date that must pass before the stockholder can make a request to exchange his or her shares. In most cases, this is done at the discretion of the stockholder. However, some convertible preferred stocks come with a clause that gives the issuing company the ability to convert them should they wish to do so. The value of these types of preferred stocks is predicated upon how well or how poorly the common stocks of the issuing company are performing. Investors who buy into preferred stocks do so with the expectation that they will receive their dividends on time every quarter. In essence, these disbursements are guaranteed at a fixed amount. That way, no matter if the market rises or falls, the return on a preferred stock remains the same each time. When the stock price falls, then owners of convertible preferred stock benefit. When everything is going particularly well for investors, then preferred shareholders don’t get to participate in the fun. Their dividends and share prices will not increase. They chose instead to remain protected from market fluctuations. However, owners of convertible preferred stocks have an advantage. They are given the option to convert their preferred stocks into common shares so they may enjoy the increases in share price as determined by the current market trends. If a shareholder wishes to convert his or her preferred stock into common stock, then they may do so at a set price, which is known as a “conversion ratio”. This price is defined by the issuing company before the stocks are made available to the public. For example, let’s say that a convertible preferred stock is priced at $50 and comes with a conversion ratio that has been set at five. The price of conversion is equal to that $50 share price divided by the predetermined conversion ratio of five, leaving us at $10. Therefore, the common stocks must be trading higher than $10 per share in order to maintain any discernible value through exchanging your convertible preferred stock into common stocks. When you break it down this way, only then can you decide if converting from one to the other really makes sense, or if it’s a smarter move to stay insulated from market fluctuations where you can rely on a guaranteed dividend payment each quarter. These forms of preferred stock permit shareholders the ability to receive dividends at the going rate paid to other preferred stocks along with an additional dividend that comes as a result of any number of predetermined triggers or conditions. 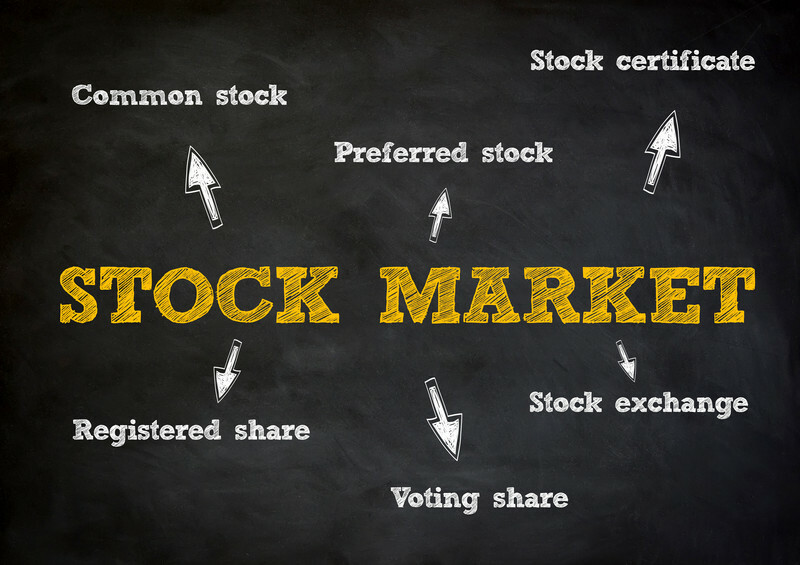 Participating preferred stocks may also offer shareholders preferences for liquidation should they experience an event where liquidation is set to occur. Just as with all other types of preferred stocks, these are paid out ahead of common stocks yet do not take precedence above debt during times of liquidation. As participating preferred stocks also offer that additional dividend payment to shareholders, this sum is only typically disbursed at such time that the dividends paid out to common shareholders becomes greater than a specified ceiling per share. In other words, preferred stockholders who have participating function get to enjoy that extra revenue from any proceeds that are left over once common shares are paid out. Should the company have to liquidate shares, participating preferred shareholders retain the right to receive the stock price in addition to a pro rata share of any remaining proceeds that are being distributed to common shareholders. Participating shareholders can receive that compensation over the liquidation value of the preferred stock as well as any additional dividends that are still owed. These shareholders are also entitled to any value that remains once the liquidation is executed in a manner concurrent with that assigned to common stocks. Non-participating shareholders only receive the liquidation value of their stocks as well as dividends that are owed in arrears. They will not receive anything beyond that. Among the four types of preferred stock, participating is issued the least these days. Most companies like to apply it as a so-called “poison pill” where current shareholders are given stocks that afford them the option to obtain new common stocks at a reduced price in times of a hostile takeover bid of the company by an unwelcome outside entity. 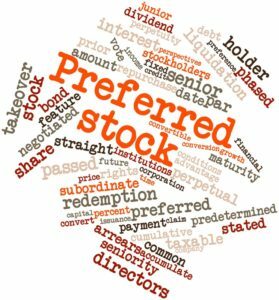 Preferred stocks have multiple functions associated with the type in which you choose to invest based upon the issuer. There are also two specific preferred stock structures. There is the traditional preferred security and the hybrid preferred security. The former has been traded for as long as preferred stocks have been offered while the latter only came into play as recently as 1993. These are the most traditional versions of preferred stock in that they are ongoing and have no date of maturity. Traditional preferred stocks are typically considered to be equity and may only be retired through call provisions from the issuer. Otherwise, they remain perpetually valid. These types of preferred stock were introduced only a few decades ago with the intention of appealing to the individual investor. They are called “hybrids” because they are considered both a preferred share of equity and a debt instrument. A hybrid preferred stock tends to come with higher liquidation and cash-flow priority as well as higher payouts on their yields. Although we’ve been discussing how preferred stocks pay out dividends, hybrid versions pay interest instead. The disbursements are made based on amounts before taxes and interest payments are subject to taxes for all shareholders. This structure is also considered advantageous towards the costs of paying dividends to the corporations that have issued the stocks. In this manner, the company is able to provide a higher yield on a preferred stock that costs less in taxes than their traditional counterparts. Just like most investment opportunities, you’ll find the ever present possibility for risking your initial capital. In the case of preferred stocks, you have a few areas of risk that come with pitfalls based upon the market, liquidity factors, and simple default. 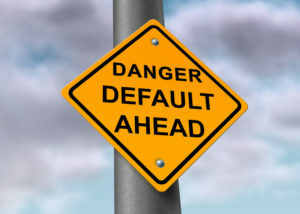 Anytime you invest your money with someone or something where the arrangement has a component of return or reimbursement of your investment there is always the risk of default. You may never see that money back. For preferred stocks, there is a risk of default but the parameters vary from your typical default scenario. An issuer may delay paying your expected dividends or interest and still not be in default. This delay typically comes with a termination of dividends on that company’s common stocks. As we’ve discussed, in the case of cumulative preferred stocks, those shareholders are mandated to be reimbursed the dividends and interest payments currently owing before common stockholders receive their payouts. Companies may call back their stocks should the dividend or interest rate drop in the market. The risk to the investor comes in having to reinvest your capital after the company has bought back its previous shares and reissued them at the lower rates. In this case, the company has lowered its costs for capital and you are seeing less of an increase in wealth through reinvestment at shares that have a lower yield. Although call premiums are sometimes implemented in order to make up the difference, not every issuing company offers this form of compensation. The price of a stock can rise and fall at any time for any number of reasons that are reflected by changes in the market. Preferred stocks are no different as their prices can also be affected by market volatility. While the price may change, the dividend or payout typically will not. However, the price of purchasing these stocks can decrease, just as with their common counterparts. This reduction is determined by the amount of the dividend at the time you are entitled to receive that amount, otherwise known as the “ex-dividend date”. Liquidation on preferred stocks may vary and the risk comes in the difference that exists between the buying price of the stock and the sale price. This discrepancy can be as little as a few cents to as much as a full dollar between the two. Preferred stocks may have discernible advantages in how they operate and payout. However, in addition to the many risks that come with these types of investments, there are other potential drawbacks you may want to consider before putting your money into these types of stocks. We’ve already discussed the fact that owning preferred stock can greatly reduce your ability for providing input into the operations of the company in which you’ve chosen to invest. Most types of preferred stock don’t come with voting powers so you’re more of a silent partner in this regard. By their nature, preferred stocks work similarly to bonds though they come with greater risk. Just as it is with bonds, preferred stocks could lose value when interest rates increase. Remember, most types of these stocks offer a fixed dividend payout that does not change no matter what direction the market is headed. These types of stocks also don’t show as much appreciation in value when compared to common stocks. That means that if common stocks begin to take off then your preferred stocks won’t show much, if any, improvement. However, if you own convertible preferred stock you may be able to take advantage of that increased worth. This is just a brief introduction to preferred stocks and how they work. Before you invest your money, be sure to discuss these types of investments with a professional so you have a comprehensive understanding of where your money is going and how it will work for you in this scenario. Preferred stocks can be a lucrative way to grow your wealth and offer many benefits that other stocks and bonds are unable to provide.